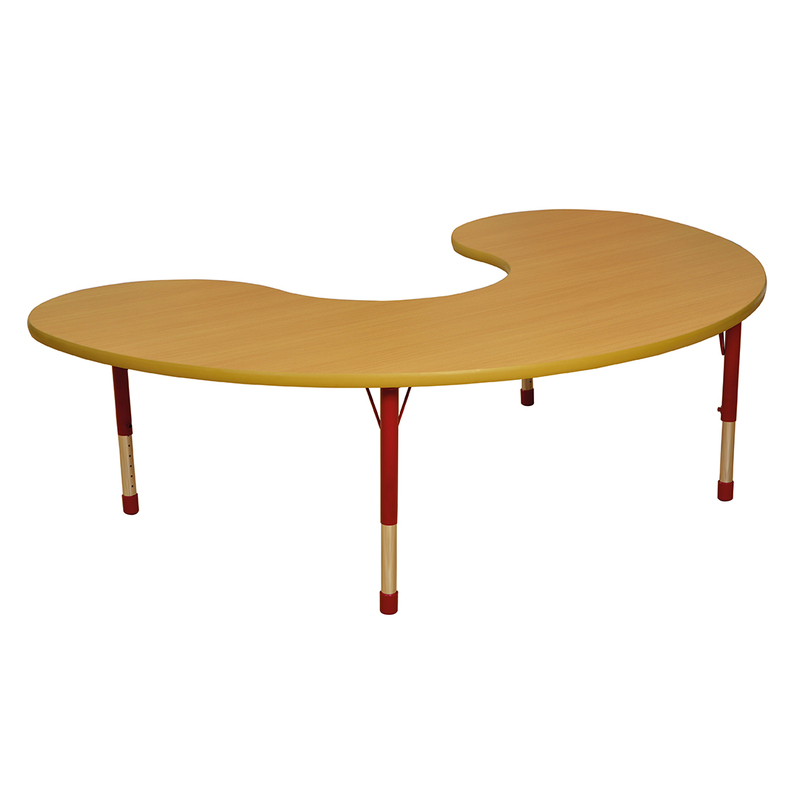 Available in 2 colours (red & blue) and 4 designs, these high quality versatile tables, with height adjustable legs (370-620mm – adjustable every 25mm) make them the perfect choice for your classroom. Delivered flat packed for easy assembly. The Milan range is stylish, practical and designed to last. 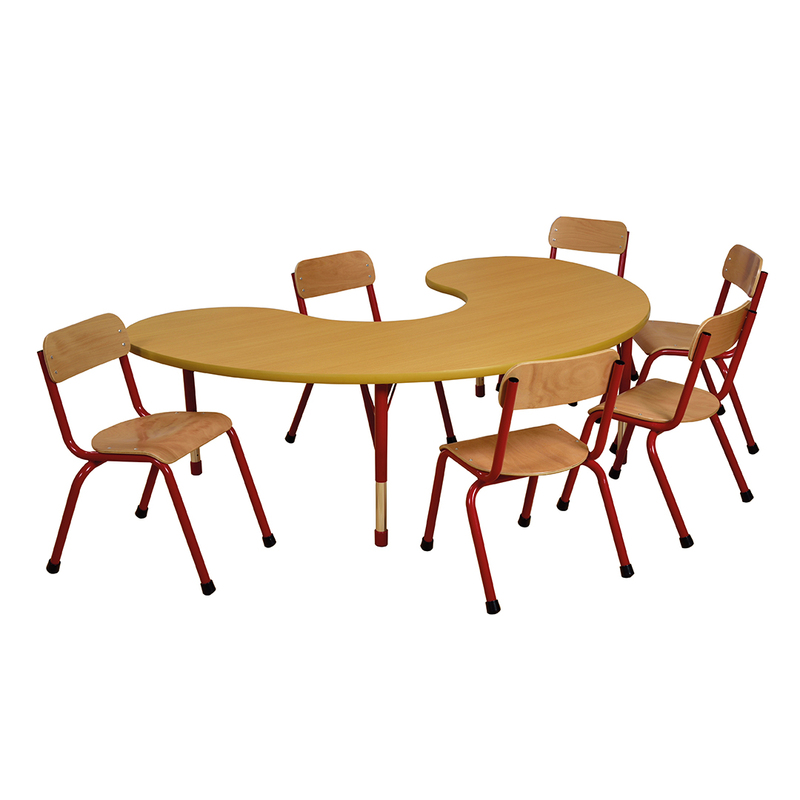 Finished to a high standard featuring a combination of vivid colour and natural wood tables, chairs and storage units this premium range has everything you need for today’s busy classroom environment. • Sturdy 48mm tubular metal powder coated legs. 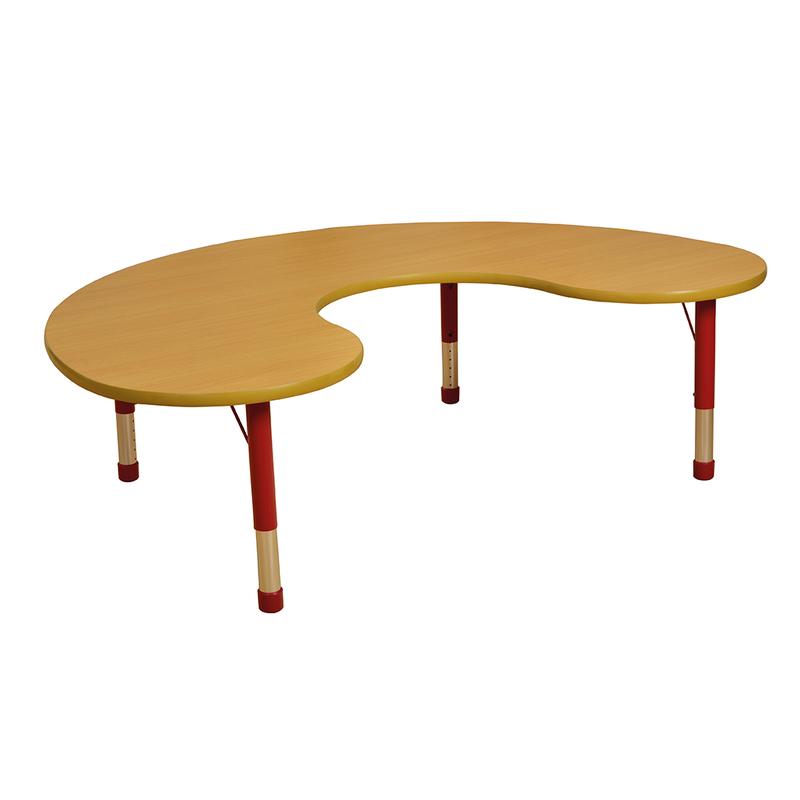 • 30mm thick natural wood style table top. • Fitted with rubber feet to prevent slipping or scratching the floor.